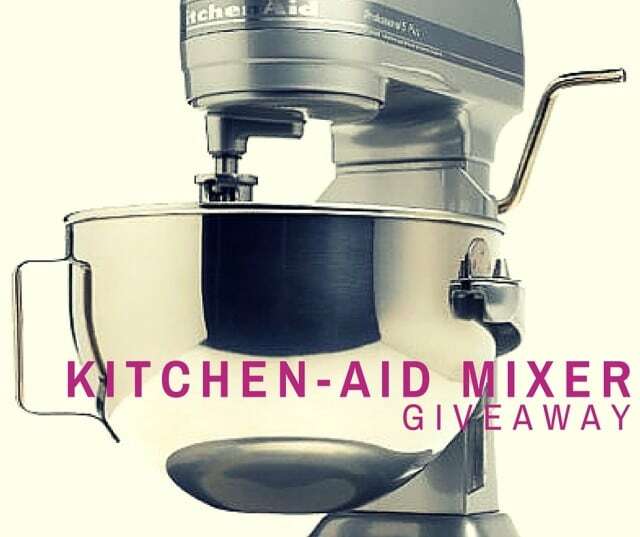 Want to win a Kitchen Aid Mixer?? YOU KNOW YOU DO. I have two of these babies and I love them so much. I almost want a third one, seriously. I’m joining with some other fabulous bloggers to give away one KitchenAid Mixer. And the winner could be YOU! ONE (1) winner will win a KitchenAid Professional 5 Plus 5-Quart Stand Mixer in Metallic Chrome. Giveaway runs from October 1, 2015 through October 11, 2015. United States residents only, must be 18 years or older to win. You must enter via the rafflecopter form below. All details, rules, and restrictions are in the form. Winner will be chosen randomly via the rafflecopter form and contacted via the email address they use to enter. This may be your Facebook email address, so be sure to check it. This contest is not sponsored by Facebook, Pinterest, Instagram, or Twitter. No purchase necessary to enter or win, void where prohibited. Good luck! I would LOVE to win a Kitchen Aid mixer!! Dreams can come true! I would dearly love to win this Kitchen-Aide mixer. Have wanted one for many years. Love baking.